Happy Monday Babes! Are you looking for ways to winterize your summer dresses? Have no fears cause today I’m gonna show you a simple way to get additional wear out of your dresses! If the temps aren’t too frigid you can simply add a cute statement coat like this one from Poshe Life Boutique over your dress for warmth and to make a fashion statement of course! 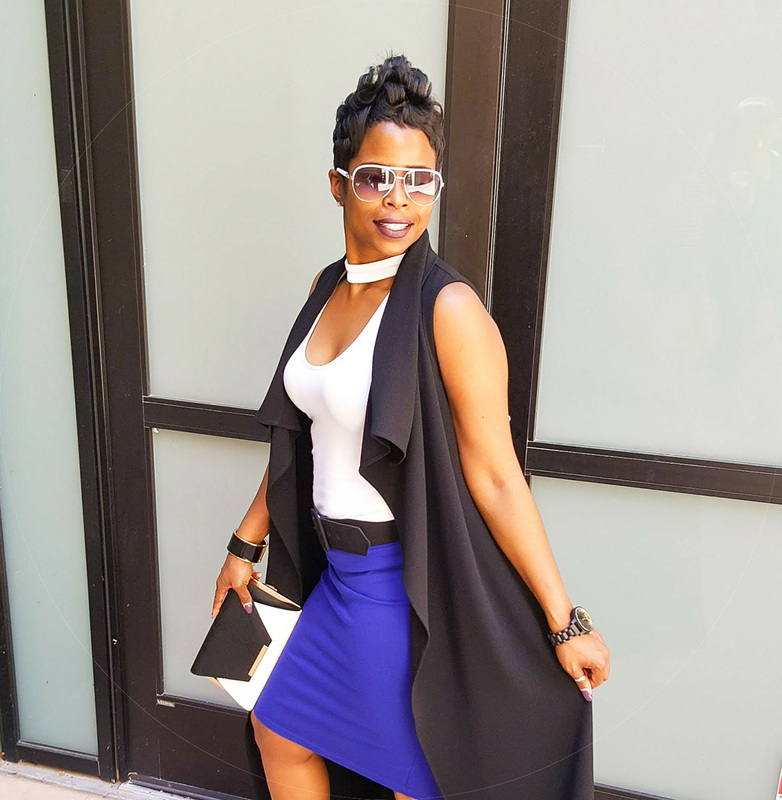 If you have a coat with bold colors or patterns wear it over a solid colored dress to make the coat the statement piece and yet still give life to your Summer dresses. Another way to warm up those shift dresses is by wearing tights with heels or a pair of boots like I did here. Over the knee boots will take your look to a whole nother level. This is a super easy way to keep you warm and toasty but stay in line with current trends. Depending on where you are in the country will dictate how soon or late you can implement this wardrobe hack. Simply tuck your shift dress into a pair of pants! Now I’m a tucker but alternatively, you could just wear your dress over a pair of liquid pants or pencil pants. To account for some of the bulkiness of the dress when tucking fold the bottom of the dress in half before you tuck it so that you do not have a ton of added material to tuck in. Then just manipulate the tuck to make sure that it doesn’t look bulky and lumpy. Viola, you’ve just turned your dress into a shirt! It doesn’t get any easier than that now does it! Hope this look inspired you to integrate some of your summer dresses into your Fall/Winter wardrobe!